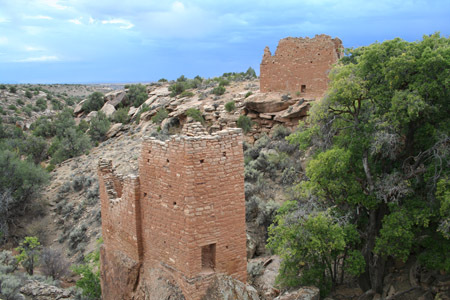 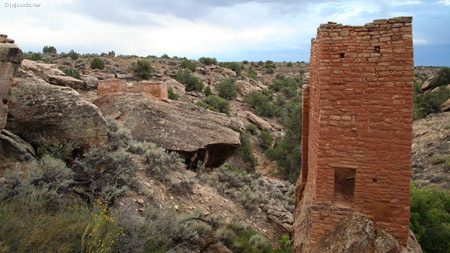 Holly House photo gallery, Hovenweep National Monument. 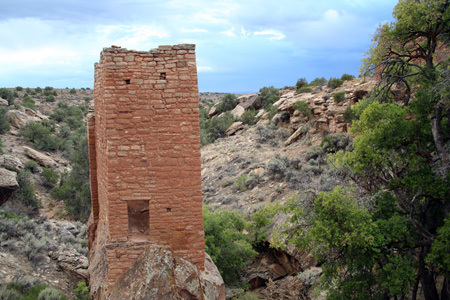 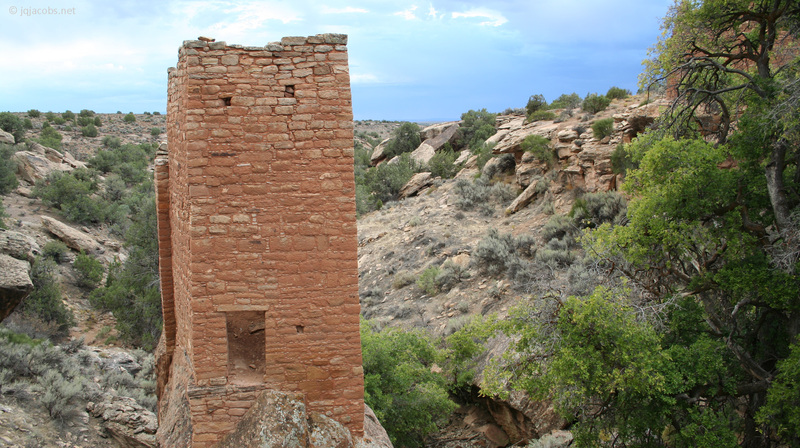 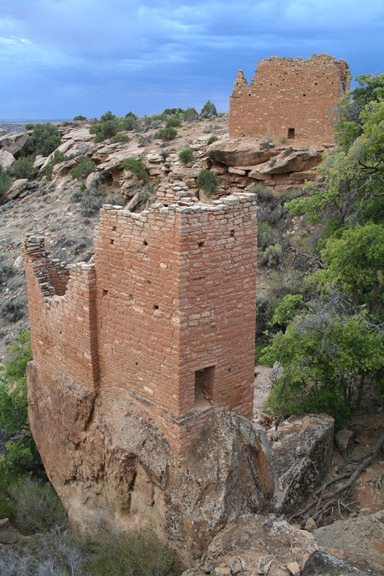 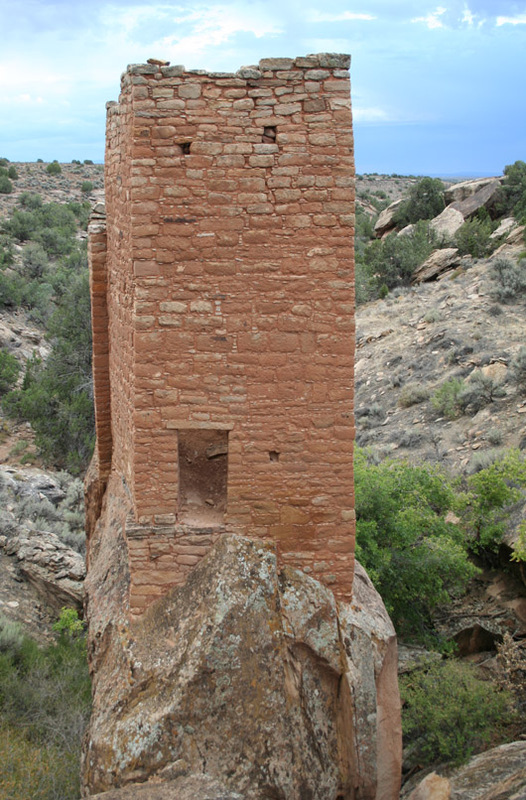 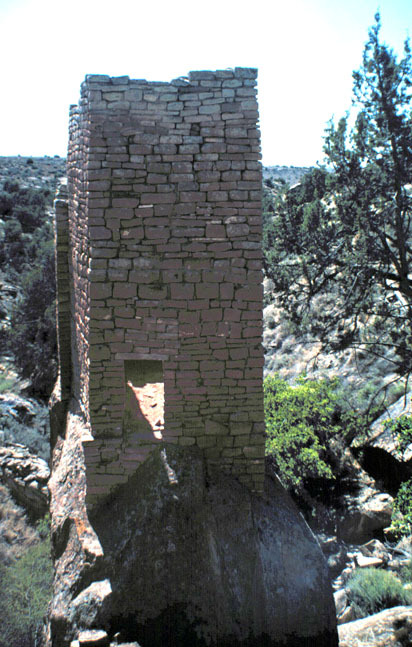 The two-story Holly Tower structure was built atop a boulder with restricted access. Download the 2560 x 1440 deskpicture. 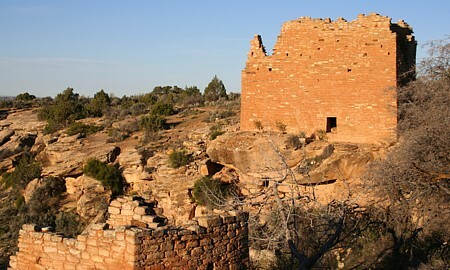 Download the 2560 x 1440 deskpicture. 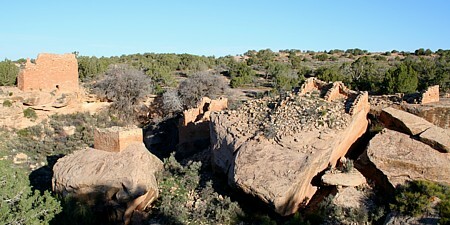 Note the wide-angle camera distortion on the right. 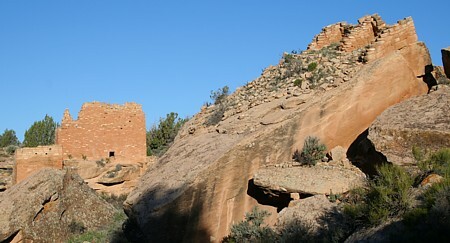 Sunrise light on Holly House and the top of Holly Tower. 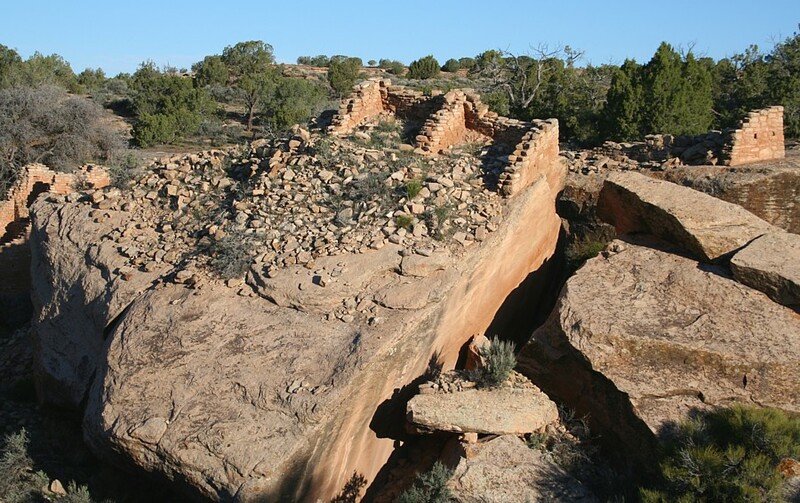 During the last 800 years, the boulder supporting one structure shifted dramatically. 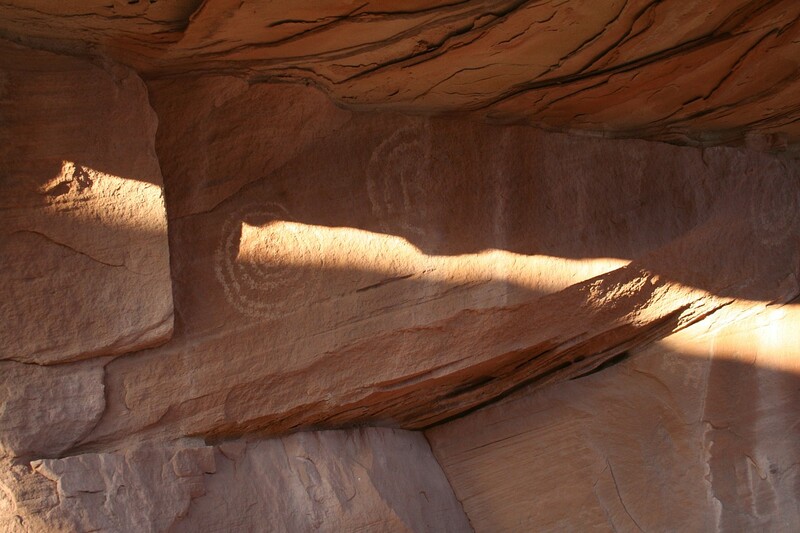 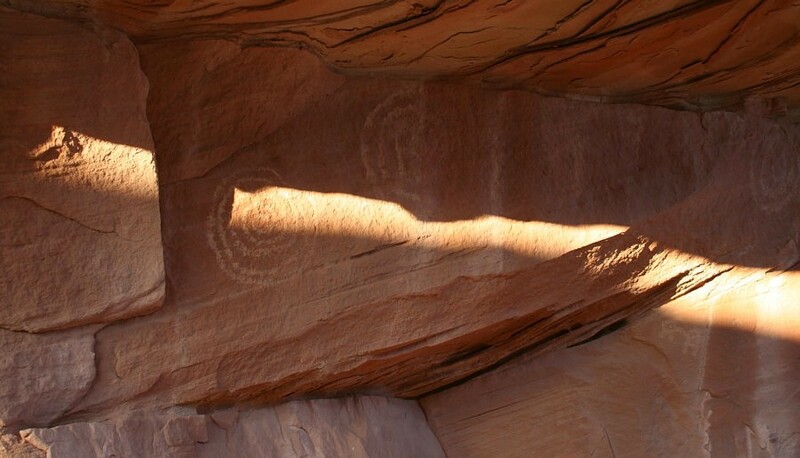 The buildings in the Holly Group are near a calendar petroglyph site. 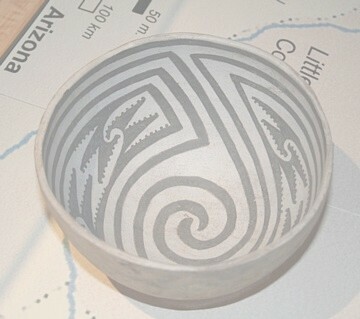 Deskpicture 1280 pixels. 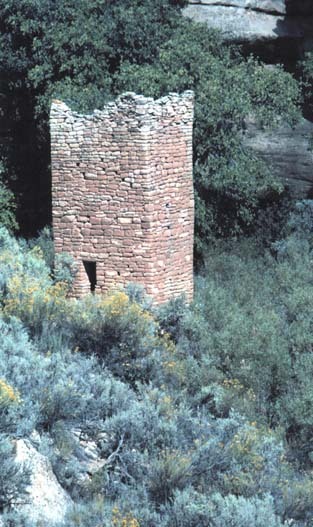 are located about two hours northwest of the monument.